Here’s a special offer I would like to introduce to you. This book which was first published in March, 2003 is from a well-seasoned author (Michael Oyegunle Ariyo) a product of the prestigious Premier University (now University of Ibadan), who’s loaded with so much experience in the field (for several decades). It’s a handbook which is both essential and necessary for every student (whether studying in an institution or not) and instructor of the English Language. It’s with a special concentration on essays and letter writing. It’s applicable to all and sundry and especially for those pursuing a certificate in English at any level. Just as in the author’s own words, the taste of the pudding is in its eating. I highly recommend it. 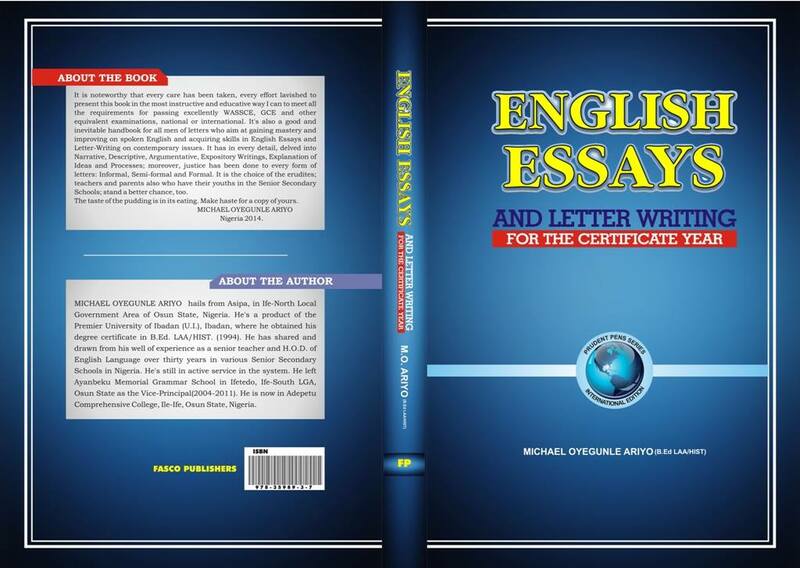 Grab a copy for yourself now and brighten up your writing skills!